In this latest addition to my continuing series of posts on the battle, here in my beloved Bellingham, Washington, over a proposed coal shipping terminal just north of town, some great Earth Day news on the subject prompted me to write to Bellingham Mayor Kelli Linville, to implore her to take a stand. It was with tremendous pride in our beloved Pacific Northwest that I learned of the Earth Day announcement yesterday by Seattle Mayor Mike McGinn concerning the newly-formed Leadership Alliance Against Coal. The time is now, Mayor Linville, for you to take a stand against coal and join this coalition. I appreciate that, up until now, you’ve been taking a cautious approach to the Gateway Pacific Terminal (GPT) project, careful, as of course you would and should be, not to be too hasty in opposing a project that could bring some badly-needed family wage jobs and tax revenue to the county. However, members of the Bellingham community, your constituents, through groups like ReSources for Sustainable Communities and CommunityWise Bellingham have done a fantastic job researching the possible local and regional impacts of the GPT, and there’s more than enough evidence out there already, even before the EIS scoping is determined, to see that the terminal would be a disaster, both environmentally and economically, for Whatcom County, Bellingham, and the region. The report categorizes comments based on where and how they were received as well as by their issue of concern. Of the 124,889 comments, 108,995 were received as signatures on bulk form letters from various groups in support or opposed to the project, 1,207 were verbal comments submitted during scoping meetings and 14,687 were submitted individually in writing. …and finally from recent reports that the demand for coal from China is on the decline, as they make massive investment in renewables, that there is a groundswell and momentum, a perfect time for you to announce that you’ve had time to consider all of the implications of the GPT and have decided to join the Leadership Alliance Against Coal. Again, I appreciate your leadership and your initial decision to not rush into a stance on the coal terminal. But, Bellingham has become nationally-known for our community’s commitment to sustainability, and the GPT project is entirely antithetical to Bellingham’s hard-earned reputation and proud identity. I hate to say I told you so (though I secretly love it! ), but, well, I told you so. 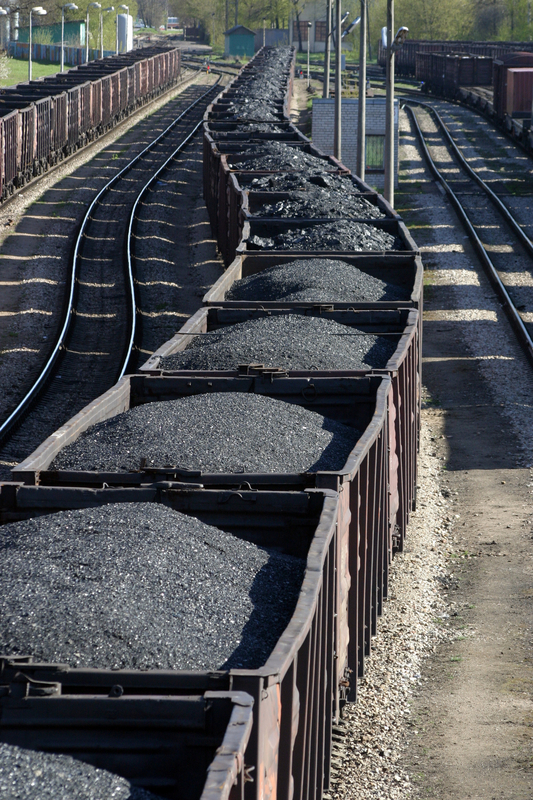 Bellingham’s Coal Train Blues, The Fractured Left, and The Ego? I won’t go into all of the details of the latest developments here, so I’d recommend listening to two episodes of Weekday, from Seattle’s KUOW (1, 2), and then reading the latest editor’s column from our local news, arts, and entertainment paper, the Cascadia Weekly. The latter is what really inspired me to write today, as it talks about the various groups that have organized to fight the coal terminal — Protect Whatcom, Coal-Free Bellingham, Safeguard The South Fork, RE Sources For Sustainable Communities — and they don’t even mention national groups like the Sierra Club or Communitywise Bellingham, a group that states that they aren’t strictly an opposition group, and that their goal is to keep the public informed about the potential impacts of the coal terminal and the intricacies of the environmental review process that the County and State are partnering on. This brings to mind an issue that I’ve wrestled with for years. A frequent source of frustration throughout my lifetime has been the lack of coordinated and unified grassroots activism on the political left, the end of the spectrum where I unapologetically reside. What I see over and over again is a lot of people out there doing a lot of good work, but scattered about in hundreds, if not thousands, of organizations, many of which overlap and sometimes even compete with each another over donations or attention or nitpicky differences in their platform or approach. Another event this past week reminded me of this. Back in August 2011, I wrote about protests in D.C. over the proposed Keystone XL pipeline that would transport the dirtiest possible form of oil from the tar sands of Albert, Canada to the U.S. Gulf Coast, the project seemed to have been killed by the Obama administration despite the pipeline’s well-funded lobbying and PR campaign, but paid-for members of Congress this week tried to attach approval of the pipeline to a highway funding bill. Well, it looked like there might be a vote on the bill Monday or Tuesday, so there was a widespread internet campaign to bombard the Senate with petitions, emails, and phone calls, and I received no less than a dozen emails from various groups who were participating. And while President Obama has threatened to veto the highway bill if the pipeline approval is included, we have certainly not seen the last of this zombie of a fossil fuel project, and I can’t help wondering how much more effective the opposition would be if it weren’t scattered around amongst all of these different organizations. So, what is the deal here? With all the surging grassroots discontent about how bought and sold our government is, after the extraordinary events of the Occupy movement, and with the continuing threat of more consolidation of power amongst the 1%, more decline of the middle class, surging numbers of poor, and utter disregard by the powers that be for climate change, couldn’t we accomplish more if somehow we could all unite under one banner? Why is it that, in Bellingham alone, there are so many groups organizing separately to oppose the coal terminal? One theory I have: It starts with ego. You get a small group of committed, well-meaning people together, they get an enormous buzz from their shared passion for the cause, they glow with self-righteousness, they can’t wait to share what they think are original and exciting ideas with the masses, so that the masses are inspired to join them, and they throw together a spiffy website and get some attention from the press, and now they’re this organization, they need money to grow, and once they have this established identity and some money and they feel good that they are working for a good cause, why would they ever consider disbanding and joining with others to create a bigger, broader, more effective, strength-by-numbers movement? I know it’s much more complex than all that, and one of the biggest reasons why this persists has to do with a lack of leadership, big vision leadership, someone or some group that understands how all of these causes are connected, and that we, the 99%, are all connected too, and that we just need be shepherded together with the hope that we can reclaim our country, of the people, by the people, for the people. Anyone out there up for the task? It’s been a while since I wrote about the battle over coal taking place right here in Bellingham — Post 1 from March, Post 2 from June. But with an election coming soon, which includes a face off between proponents and opponents of a coal terminal that would ship 48 million tons of coal per year, coal that would reach the terminal by going right through the middle of a town that is known nationally as a model of sustainability, it’s about time that I bring up the topic again. That NPR also happens to be running a story today on the Bellingham Coalmaggedon, really leaves me no choice, actually. I can’t not mention it! Pike is pitted against labor unions, which welcome the construction jobs and the few hundred high-paying jobs that would eventually result at the terminal. Proponents also include Peabody Energy, which would mine the coal for export; Warren Buffett, who owns the railway that would carry the coal; and SSA Marine, which runs ports around the world and wants to build this one. And while I don’t want to detract too much from Buffett’s stance on taxes and his significant track record of philanthropy, most notably his 2006 gift to the Bill & Melinda Gates Foundation, the largest charitable donation in history, it’s impossible for me to let him off the hook for his role in the expansion of coal mining and exportation. No, we have to draw the line in the sand on this coal business, just as it is in the interest of the country and the planet for us to oppose the Keystone XL tar sands pipeline. Never was the saying more appropriate: Think Globally, Act Locally! Apropos my coal-centric post from earlier this week, I came across three tweets today that, considered together, don’t seem to leave proponents of coal with a leg to stand on. When coal hits home as hard as it does, right here in Bellingham, I find this hopeful. Since my post this morning, I’ve come across two coal-related videos that couldn’t be timed better. First, the trailer for the documentary The Last Mountain, which will be playing in Bellingham at our own Pickford Film Center in July. And, if there was any doubt, the second video is of an actual coal train rolling through Bellingham, along Bellingham Bay, on it’s way to Vancouver, B.C. Imagine 18 or more of these…per day. So, let’s get prepared for this fight. Do your homework and become well-informed, participate however you can, whether it’s signing web petitions, donating money, blogging, Tweeting, Facebooking, or showing up at public meetings. …or: Thank you, Mayor Dan! Last month I wrote about the Gateway Pacific Terminal project, proposed for the Cherry Point area just north of Bellingham, a project that would bring up to 18 trains of coal per day (a conservative estimate compared to other figures quoted in the media) through Fairhaven, passing along the waterfront adjacent to the Taylor Dock pedestrian/bicycle causeway and Boulevard Park, and finally through downtown, right along the boundary between the city and the 220-acre waterfront redevelopment area, the former site of a Georgia Pacific paper mill. Since I first wrote about the new G-P, I’ve done a lot of reading on the subject and have talked to a lot of people both for and against, and my conclusion is that this project is incredibly wrong for Bellingham in myriad ways, some of which I’ll cover below. It cannot be overstated just how courageous this move by Mayor Dan is. He’s running for re-election, and he just picked a fight with a very powerful, well-funded group who will do everything in their power to paint him as blocking the creation of new jobs at a time when unemployment is hurting the city and the county. And yet, one thing gets overlooked in most of the discussion I’ve listened to and read on the subject. Namely, it is very possible that in an effort to create several hundred long-term jobs, with no guarantees that I’ve seen concerning just how many of them will be filled by locals, the increase in train traffic could torpedo the waterfront redevelopment that’s been in the works for years, a project that would bring many hundreds more long-term jobs, by way of light industrial and retail businesses, as well as an expansion of Western Washington University’s campus to that property. The future success of the waterfront redevelopment depends heavily on investors having confidence that the quality of life that Bellingham has been nationally recognized for — a quality marked by abundant access to nature and the community’s commitment to sustainability — will remain intact, resulting in continued well-managed growth, the kind of growth that will support commercial and residential ventures. Already, I’ve heard rumblings from friends in the real estate business that concerns about the environmental and noise impacts of increased rail traffic through town have started to bring down property values in areas near the train tracks. And on a more practical level, imagine how uninviting the waterfront will be with either coal or passenger trains blocking traffic almost every hour. Fortunately, the Bellingham City Council shares this concern. The Bellingham City Council recently sent a letter to Whatcom County planners and the U.S. Army Corps of Engineers to urge that rail traffic impacts on Bellingham be evaluated, as well as the impacts from noise, coal dust and diesel emissions. They also want the project study to estimate potential losses to property values along the rail line and on the waterfront. “If unmitigated, the great increase in train traffic has the potential to undermine waterfront growth and investment by creating significant problems with noise, traffic blockage, air pollution and safety concerns, thereby putting at risk millions of public dollars and thousands of potential jobs,” the letter states. In the end, it is my job as Mayor to protect Bellingham and protect it I will.